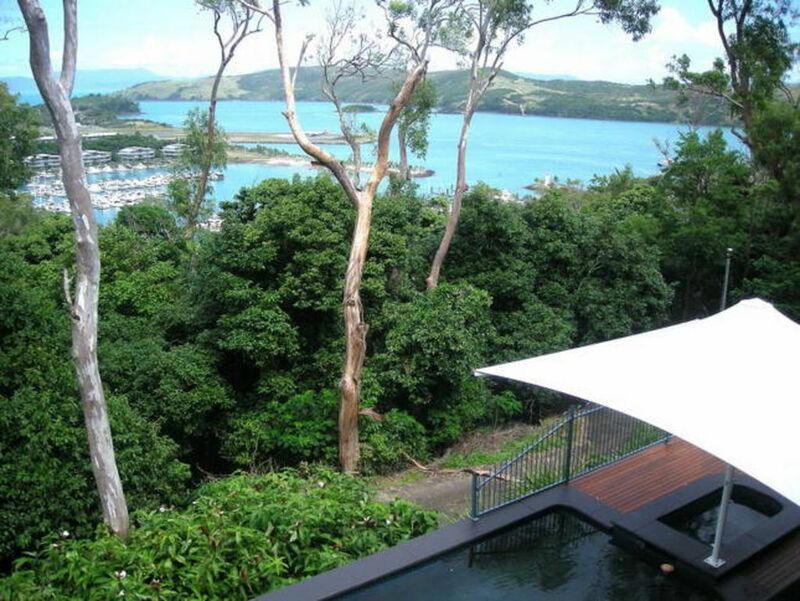 The Cowries on Hamilton Island is an enormous double storey home, directly overlooking Hamilton Island Harbour. This unique 4 bedroom home offers spectacular views overlooking Hamilton Harbour. Sit back on your deck and watch the boats come and go! Sensational private pool and fantastic entertaining areas. Great for a large group or families travelling together. This home can comfortably accommodate up to 14 people, plus 2 infants, in luxury and style. With exquisite furnishings, modern appliances, fantastic gadgets throughout and a 12 seater dining table, The Cowries is secluded decadence located just off the heart of Hamilton Island. Affordable rate and includes 2 x 4 seater buggies! Enter this enormous house and the first thing you will be amazed by is the stunning water view. Next you will be impressed by the open plan design and the beautiful furnishings. The kitchen has stunning views and has everything you could need on your Hamilton Island holiday. There is even a Coffee Machine (Caffitaly pods)... heaven for those lovers of coffee! The enormous balcony off the main lounge/kitchen/dining area is where you will be doing most of your entertaining. It is very spacious, with 10 seater dining table and the all important gas bbq! Upstairs you will find 3 beautiful bedrooms and 2 bathrooms. Head down stairs and you will find another enormous area with living room, kitchen and the 4th bedroom. This lounge room also has a large flat screen TV with Austar. There is another large balcony with bbq. Perhaps you would prefer a bbq by the pool one night. So many choices! The stunning pool area is the place to be! Relax on one of the sunlounges and enjoy the beautiful Hamilton Island weather. Wonderful family holiday at Cowries could not ask for anything more.Great views of Hamilton Island marina and Whitsunday islands.The 2 buggies were a great way to take the family around the island.